Cases of domestic abuse are still very common across several households in the country. Such cases can happen to anyone; young or old, male or female, black or white, poor or rich. The abusers often want to have and maintain total control over their subjects. However, most domestic abuse victims hardly come out to seek legal practice against the abusers. Probably because of fear, ignorance, or denial. But the first and most essential step towards stopping this unlawful act is the ability to recognize their signs and, hence getting appropriate help. Please read on to learn more about the common domestic abuse signs. Common signs of physical abuse can be evident by physical injuries or frequent bruises without a clear explanation. 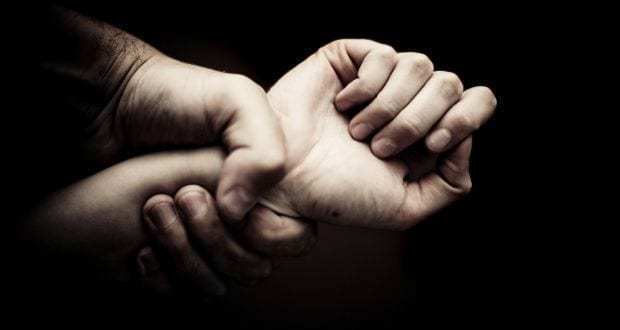 Victims who have been physically abused tend to have sprained wrists, marks on their necks, busted lips, and black eyes. If you see someone with such signs, they could be victims of physical abuse even if they will hardly admit it. Most will try to hide the bruises and injuries as much as possible and would claim to have gotten them from some accident. They could use makeups, sunglasses, or weather-inappropriate clothing to hide the signs. Should you detect some sense of despair, hopelessness, or helplessness in someone, there’s a high chance they’re being abused and it has taken an emotional toll on them. The person will hardly relax but tend to be alert most of the time. You might also see other signs such as low self-esteem, lack of interest in their routine activities, depression, anxiety, agitation, developing alcohol or drug problem, and if the person talks about attempting suicide. You should consult a personal injury attorney should you or someone close to you falls victim of any form of domestic abuse. You can get more info from Bourdon Defence. Does your friend always have to ask their partner for permission to go out and meet with other people? This issue mostly affects women. They’d usually claim the fear of being accused of having an affair. Often times, they tend to receive texts or calls from their partner asking them where they are, with whom, and what they’re doing. In some instances also, the partner could be following them to check up on them. The victim could also be moving around with little or no money or credit card at all. According to them, their partner controls all the finances and they must account for all the money they use. For someone who’s possibly experiencing domestic abuse, they may depict a sense of anxiety and nervousness when they’re away from the abuser. They’d also tend to be too much into pleasing their partner. When the victim’s partner is around, the children may, most of the time, be frightened or timid. Because of fear also, the victim may feel paralyzed to protect oneself or their children and in making decisions as well. Despite being abused, the victim may hardly reveal the abuser or their unlawful actions to anyone. They may, instead, claim the abuser usually has a bad temper. It might also reach an extent where the victim refuses any help from friends and family. Another common sign of domestic abuse can be evident when someone, once very cheerful and outgoing, gradually becomes withdrawn and quiet. The victim suddenly drops interest in events they usually cherished and made them happy. They tend to be late or don’t make it to work or your planned meetings and other appointments. If they used to hang out with you and other friends on various occasions, they may start isolating themselves from the company and cutting off contacts with you. Anyone can fall victim of domestic abuse regardless of their gender, age, lifestyle, or economic status. Most victims of such abuses can hardly come out and report the matter to the relevant authorities. This piece highlights some of the common tell-tale signs of different forms of domestic abuse. Should you recognize any of the signs in your friend or family member, help them reach out by reporting the matter to the relevant authorities. You can also consult one of the injury lawyers in your area to advise you on the necessary legal steps you should take.